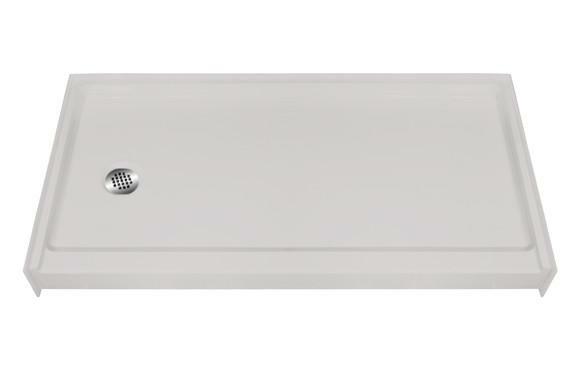 The 6030 Low Threshold Shower Pan with a 4 in. Threshold ( 60 in. x 31 in. ) is manufactured using premium marine grade gel coat which creates a smooth, beautiful, long lasting, anti slip shower surface. The textured slip resistant grip sure floor keeps floor safe and secure for a individual. We are a veteran owned company working tirelessly with you in mind. 10297 W. Van Buren St.